I’m going to try and keep this as spoiler free as possible because if you know how it ends it will ruin it for you. That being said this review isn’t going to cover content much. I went into this book knowing nothing about it. I had heard all of the hype about it when it first came out, it’s been on my list but I hadn’t gotten to pick it up yet. 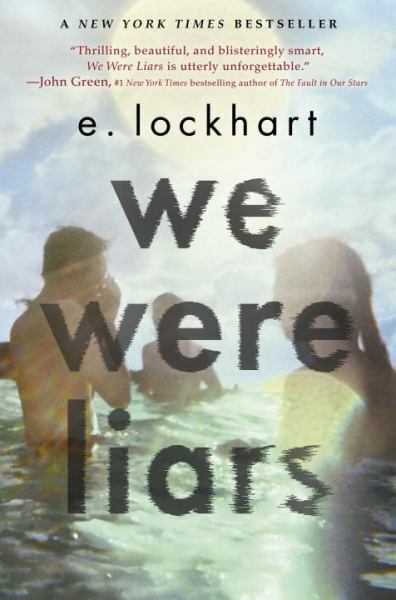 When I found out that E. Lockhart was going to be at The North Texas Teen Book Festival in April I made it a priority to read it before going. Not going to put one, I urge you to go into this book without knowing what it’s actually about. The writing: The writing style is beautiful, it’s has the neat hazy feel to it. It fits really well with the mystery of the whole story. Metaphors and more. The foreshadowing is on point with this book, the metaphors are incredible, and I loved how Lockhart used fairy tales within the story. I had a really hard time finding ones that I really liked that didn’t ruin it, which is why I’m leaving you just with this one. I felt the love rush from me to Gat and from Gat to me. Not as much as most books, but it does use the f word a couple of times. Some, mainly towards the end when the big surprise is revealed. I did, you might too. No one told me this was going to be a sad book, consider this your warning. four out of five hedgehogs. It was good, I read it in one sitting and was completely surprised by the ending. But I give it four because, I don’t know. I just didn’t click with the book as much as I have others. E. Lockhart who I hope to meet at the NTTBF. I feel like this book should have come with a small trigger warning for self harm. Also, if you are an animal person, be prepared to cry. While I understand why that was included I felt it was almost unnecessary. Litographs has products for this book you can find them here. Were you surprised by the ending? I think it would be really neat to reread it now and see just how much foreshadowing is done, has anyone done that?